Since 1986, INTI International University & Colleges has spearheaded the development of higher education in Malaysia. Drawing on the spirit of innovation as an integral part of learning, INTI has always been bold in reinventing education to meet the needs of tomorrow’s leaders, placing significant emphasis on employability. Empowering students with the knowledge, skills and experiences to help them meet the expectations of industry has remained INTI’s priority to this day. 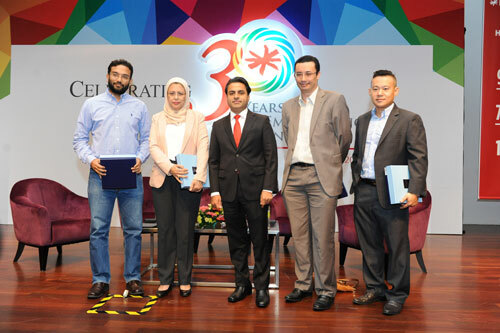 Recognising the critical need for students to have skills sets that put them head and shoulders above their peers, and to celebrate 30 years of empowering young minds, INTI launched INTIpreneur 2016, a unique initiative that will challenge and inspire young people to us their critical thinking skills to drive innovation with social impact. Supported by key industry leaders who will act as mentors, students will be able to develop their business acumen, entrepreneurial and soft skills – all of which are in demand by employers today. To launch the competition, INTI welcomed Mr Sajith Sivanandan, Managing Director, Google Malaysia, Vietnam, Philippines and New Emerging Markets; Mr Nazrin Hassan, Chief Executive Officer of Cradle Fund; Puan Elia Talib, Managing Director of GRADUAN; and Mr Melvin Lim, INTI alumni and Co-Founder of Cubinet Interactive, to be part of a panel discussion on ‘Rethinking Employability’. Together they addressed the realities of the workplace in 2016, and how institutions of higher learning and employers played a key role in empowering students with the skills to survive any job market. “We believe INTIpreneur 2016 will be a great opportunity for our students to gain key insights into the workplace, especially with the line-up of employers who will take on the role of mentors in this challenge. By exposing students to these employers, we are helping them to understand and develop those skills that employers are looking for such as creativity, innovation and problem solving which are vital to their future careers,” added Sharma, who also moderated the panel discussion. INTIpreneur is among INTI’s various initiatives aimed at improving graduate outcomes. To date, 97% of INTI graduates are employed within 6 months of graduating, while 16% received job offers even before they graduated. 78% of these graduates were also paid higher than the market average – a testament to their quality and capabilities. In addition to INTIpreneur 2016, INTI will be celebrating its 30th anniversary through various other collaborations and partnerships that will provide students a platform to develop their skills and talents, while working alongside successful alumni and industry captains. “30 years in this competitive industry is a great achievement and we have seen many of our graduates hone their skills and abilities in the working world and go on to become successful entrepreneurs and industry leaders. 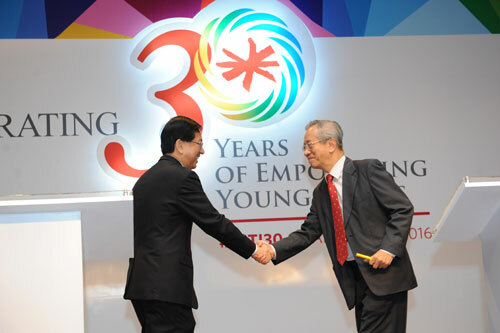 We want to live up to this legacy by challenging more INTI students to pursue their passions and turn those unique and interesting hobbies into professions that create a positive impact in society,” shared Tan Yew Sing, Chairman and Co-founder of INTI on the vision he has for the institution as it forges ahead into the future. From a single shop lot in Brickfields with 37 students, INTI has six campuses across West and East Malaysia with 15,500 students and continues to offer unique market driven experiences which are accessible for Malaysians from all backgrounds. Viewing education as a movement that promotes learning without boundaries, INTI pioneered one of the first programmes to connect students to universities in North America. The American Degree Transfer Programme, the first of its kind in Malaysia in the 1980s, offered both credit transfer options and the 3+0 option, enabling students to graduate with international qualifications while completing part or all of their studies locally. Through its partnership with the Laureate International Universities, INTI students today have unrivalled access to a global platform that helps enhance their industry knowledge and gain international experiences through its partner universities. Successful initiatives like the Semester Abroad Programme (SAP) and access to global events like the World Business Forum, have given INTI students an edge to stand out amongst their peers and in the international arena. The year is set out to be a festive one as INTI looks to celebrate this historical milestone with its over 55,000 graduates all the way from the class of 1987 to the present year. Among other initiatives planned as part of the yearlong celebration are #CelebINTI, a monthly leadership series featuring successful INTI alumni; TedxINTI and INTI Homecoming to name a few.